Those Zest­bois™ are at it again. Since they've only have one life to live, and with unimag­in­able amounts of their par­ents' cash lay­ing around, they've decided to go all out and take some lux­ury cars on a win­ter time joy race. 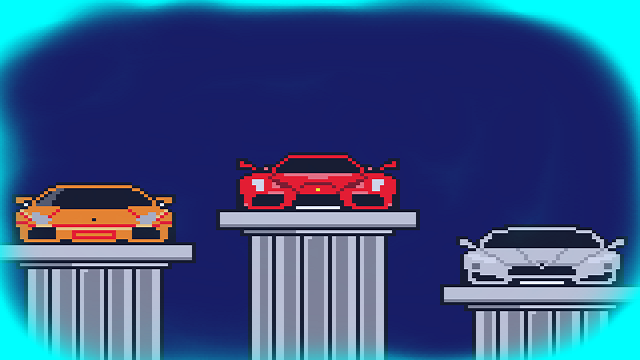 Zest­boi™ Ice Rac­ing is a hybrid masocore/racing game. The object is to win the race, yet crash­ing into obsta­cles causes a race restart. A and D to steer, pedal to the metal with Space, and S to reverse.